The first is an older swatch but you can still see how lovely it is. This is two coats of Sinful Colors Blue By You. It is a beautiful bright blue filled with a very strong lighter blue shimmer, almost something between a shimmer and glass flecks. It’s just gorgeous! 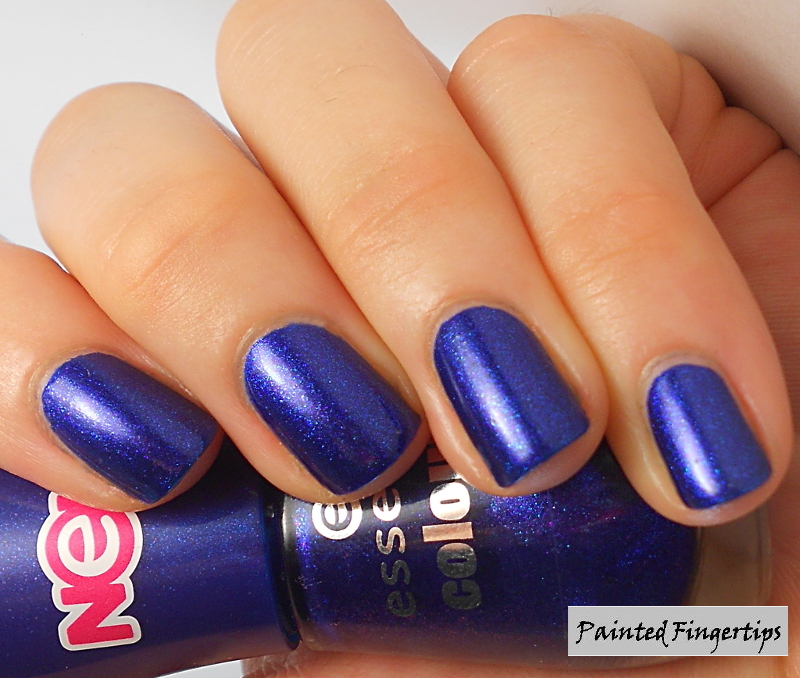 Not only is the shade of blue lovely, but that shimmer is incredible too. The second one I have for you today is Essence It’s Raining Men! This is two coats. 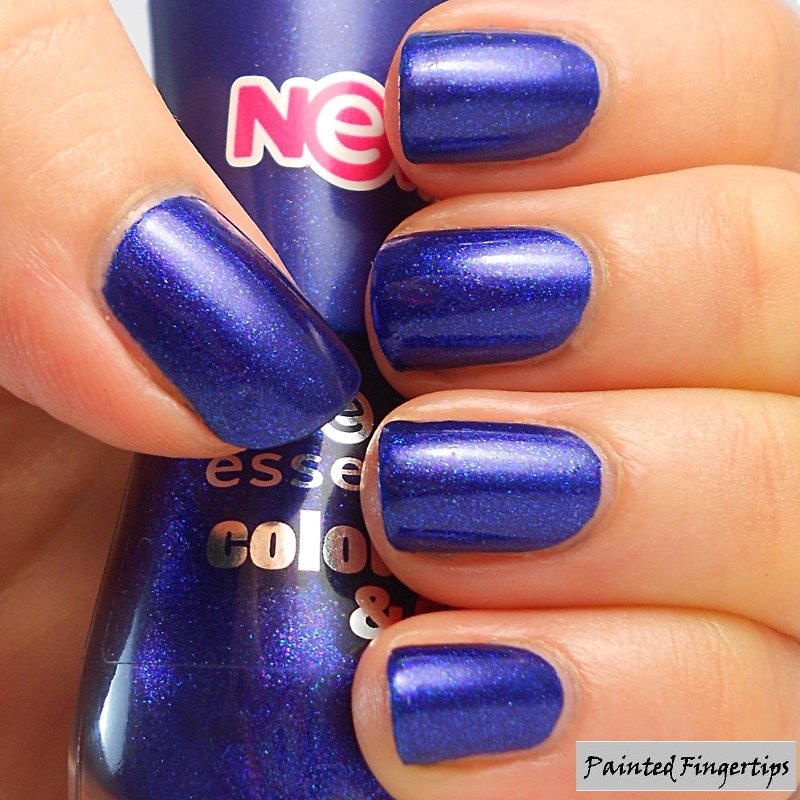 Like with Blue by You, it contains a very strong large shimmer, almost like small glass flecks. It’s a slightly darker blue containing both lighter blue and purple shimmer particles. Like I said, it’s tough to pick a favourite between these two, but if I absolutely had to, I’d probably pick this one. Which is your favourite? Oh yes exactly! The worst is when they’re indies so you have to pay shipping as well… I’m in South Africa so that just gets too expensive! This is why 99% of my polishes are the cheap ones like these!